Scrubbers that trap particulate in an exhaust steam and collect it in a sump for blowdown. Many industries in the Chemical and Building Materials industries may be required to reduce the amount of particulate they release into the environment. These requirements typically depend on application and locality. 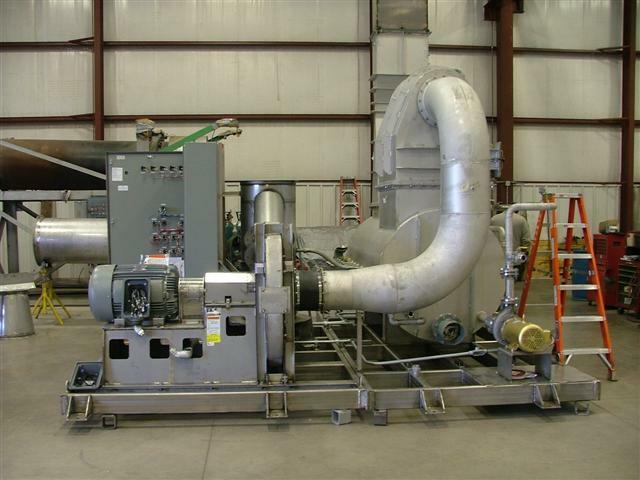 Turn to Pollution Systems for reliable, effective Particulate/Dust Scrubbers to fit your precise application. The concept of Wet Particulate/Dust Scrubbers is pretty straightforward. A liquid – usually water – is injected into the waste gas stream. The liquid droplets impact and entrain particulates from the waste gas stream and collecting them in the sump for blowdown. The treated air stream is discharged through the exhaust stack. What is the nature of the particulate/dust to be removed? What is the particulate size distribution? What is the initial pollutant loading/ concentration in the waste stream? Is it flammable or combustible? What is the required removal efficiency? What is the temperature and flow rate of the waste stream? Where will the scrubber be located, indoors or outside? Due to these and other challenges, finding the right kind of Wet Dust Scrubber can be a challenge. 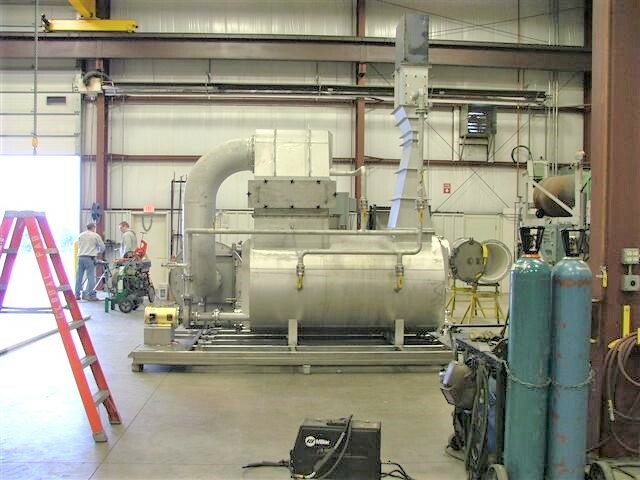 Pollution Systems specializes in high-energy Wet Particulate/Dust Scrubbers, built to fit your precise needs. Our highly experienced engineering and design personnel will focus on identifying the custom solution to fit your application. We particularly have extensive experience with Venturi Scrubbers. 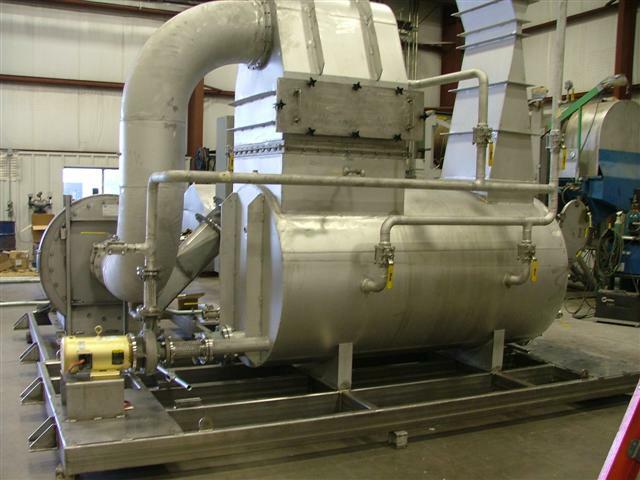 Pollution Systems is committed to manufacturing complete scrubber solutions including all necessary equipment, such as process fans, necessary pumps, control systems, gauges, and piping. Over the long term, our Wet Dust Scrubber solutions will provide you with highly reliable, long-term service with low maintenance requirements.